Ever heard of beauty sleep? 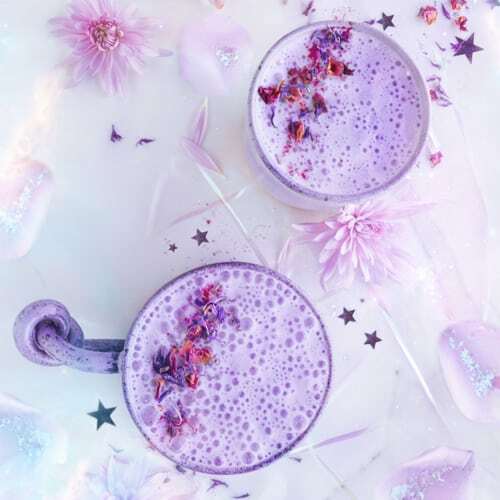 Yeah, it’s important, a good nights sleep does a world of good inside and out, so Nutra Organics have paired their Collagen Beauty and Lunar Latte to make a dreamy Moon Milk potion. Moon milk has been used in Ayurvedic traditions as a remedy for sleeplessness. With beautiful adaptogenic herbs, Lunar Latte lends itself perfectly to this tradition and the addition of Collagen Beauty amps up the goodness. 1. Place 1 cup of milk, Lunar Latte, Coconut Oil, Maple Syrup (if using) and vanilla bean in a saucepan and simmer until warm, whisking vigorously to infuse. 2. Pour your Moon Milk into a high powered blender along with a serve (2 scoops) of Collagen Beauty and whizz until beautiful and frothy. 3. Pour into your favourite cup, top with dried rose petals and enjoy.